It is ideal for college students who want to ensure that they are compliant with writing styles. It will help the student become a better writer–teaching the student how to structure any literature that is typed. This review focused on analyzing a few sentences from a NY Times piece. It was quest to put the software to the test. From what we are able to see, the software does do a wonderful job of picking of lenthy sentences amongst other things. One thing we loved about the software is its simplicity. It is very user friendly and we were able to figure out the software functions quite easily. Check out our YouTube video below to see the Style Writer 4 software in action! Especially with students back in college and high school, we’d like to ALL our readers (and your network of friends) a FREE TRIAL of StyleWriter 4! 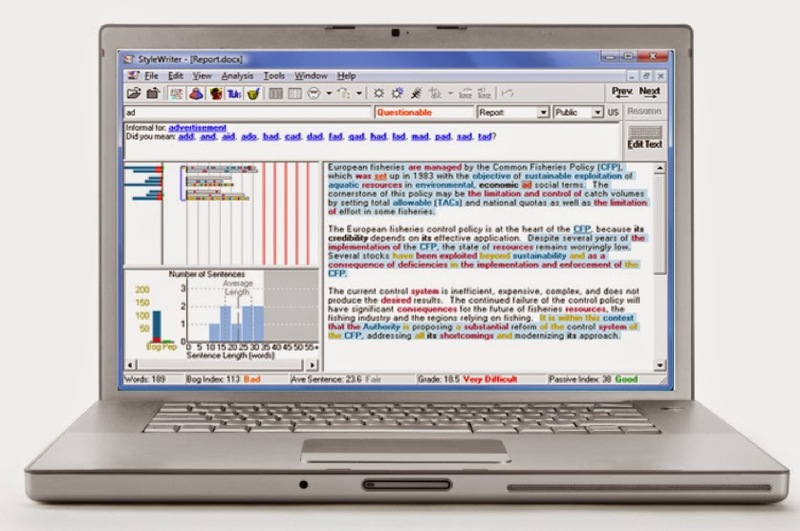 ALL our Readers can download a FREE 14-Day Trial of the StyleWriter to test drive. Innovative timeline feature – an easy to understand timeline of events. We were able to review the software hands-on and were very impressed with each of the features the software has to offer. 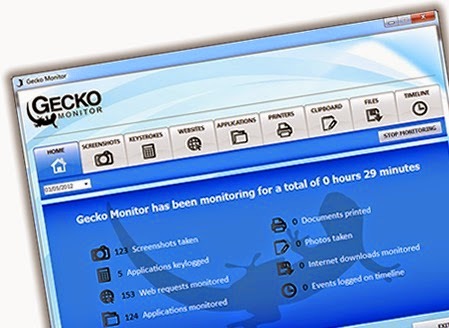 It is by far one of the best monitoring software programs we have reviewed. Please take a look at the video review we did to demonstrate how the software works! Gecko was kind enough to give us ten licenses to give-a-way to our readers! To enter all you have to do is leave a comment! That’s all! Be sure to help us spread the word by sharing the link of this blog entry via twitter, instagram, facebook, etc. Perfect Portable Bluetooth Speaker compatible with iPhone, iPod touch, iPad 2/3/4/Air, iPad Mini, Samsung Galaxy S/2/3/4/5, Blackberry, Nexus, Tablets, Laptops, PC Computers, MP3 Players, and any Bluetooth Enabled Device. Crystal clear sound with Bass booster and Subwoofer effect with built-in speakerphone and microphone for receiving calls. No brainer to use, no wires that could get tangled, no need to build speakers on walls! 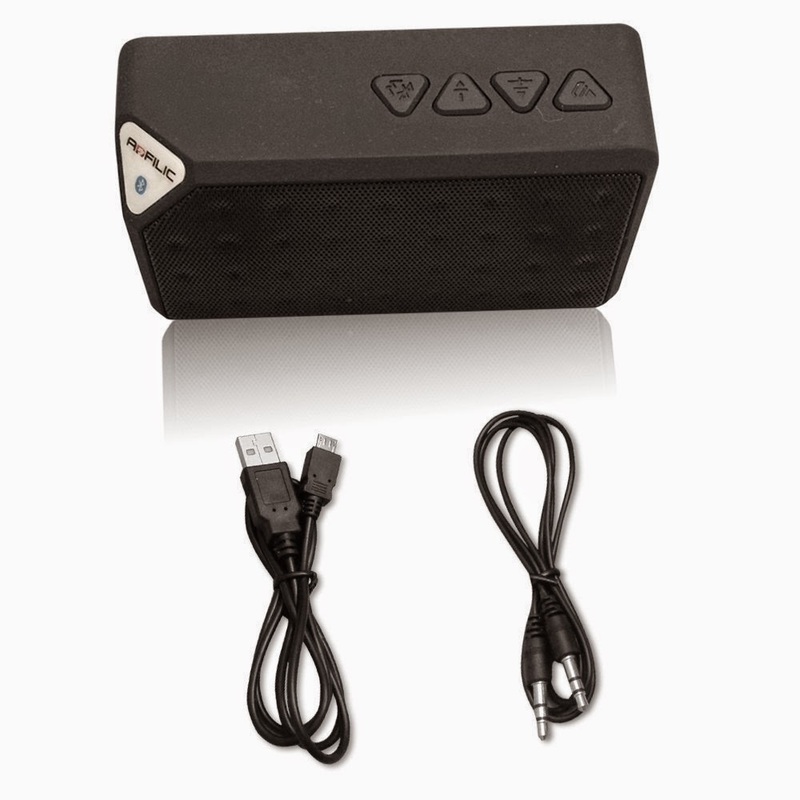 Rechargeable battery which can last for 6-8 hours of playing audio perfect for picnics, backyard barbecues and parties. Includes Adfilic Bluetooth Speaker, USB charging cable and 3.5mm Audio cable. This is the coupon code for the Bluetooth speaker: LDSVC3UA. Go to Amazon now to purchase this unit. If you are anything like me, you need to keep your smartphone device battery full. I always keep a charger near my nightstand,at my desk at work, and now in my car–thanks to my friends at BL, LLC. This dual usb charger for iPhone 5 is sure to keep your iPhone and/or iPad charged and ready for use in no time. 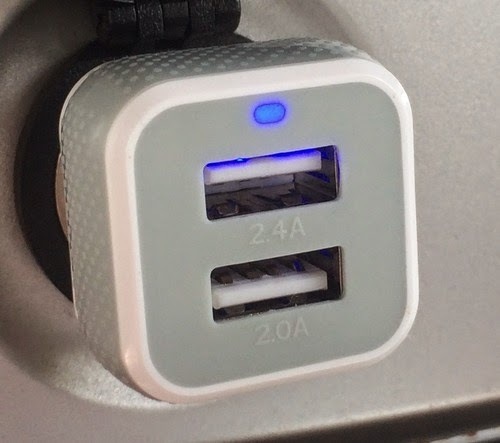 Dual port car charger with a 2.4A port and a 2.0A port. You always wanted a device so you could charge more than one gadget at the same time. This is very useful during a long journey. Perfect if you have only one outlet to connect to. It will charge both of your devices far quicker than your wall chargers. This is due to the car charger’s ability to output at a higher level of power. 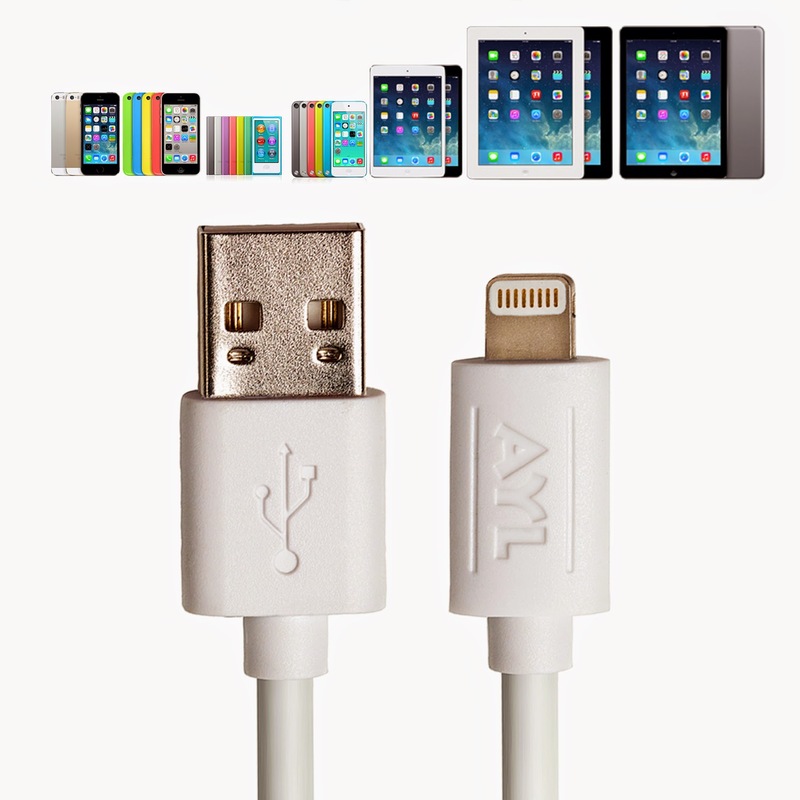 You can use this to charge your iPhone 5 and iPad mini retina display. This charger will not only charging the iPhone and iPad mini, it will also charge the battery pack. This charger has no problem pushing out the power to both devices. It has smart circuitry to prevent problems like overcharging or overheating. It has a double injected frame consisting of a polycarbonate inner layer coupled with the flexible external molding of TPU (thermoplastic polyurethane) for a soft grip. 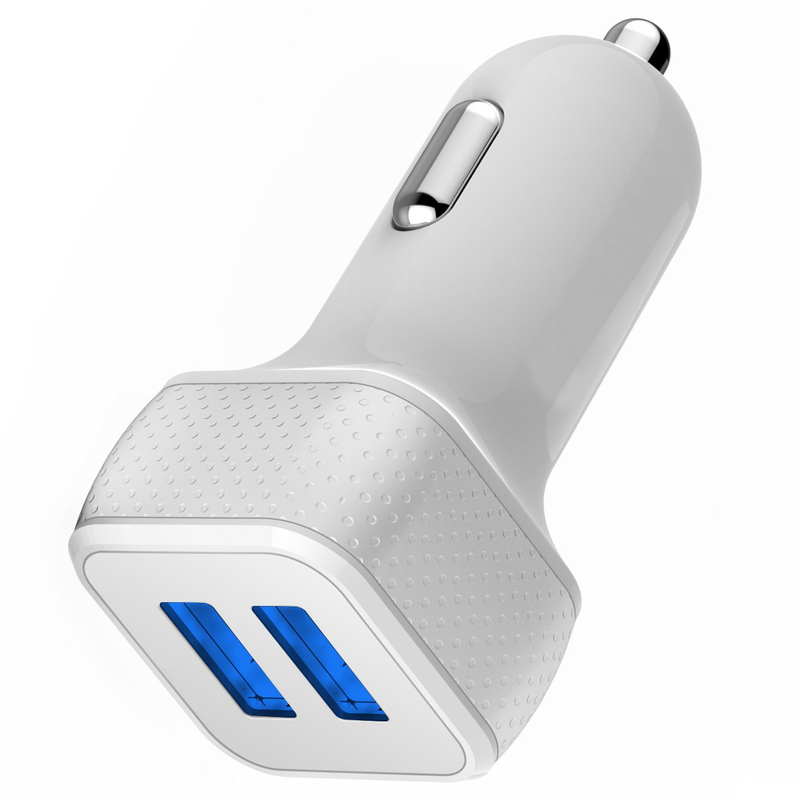 If you are in the market for a USB car charger, look no further. We will be giving one away to a lucky reader! All you have to do is leave a comment on this post! If you are interested in purchasing this car charger, you may do so on Amazon. 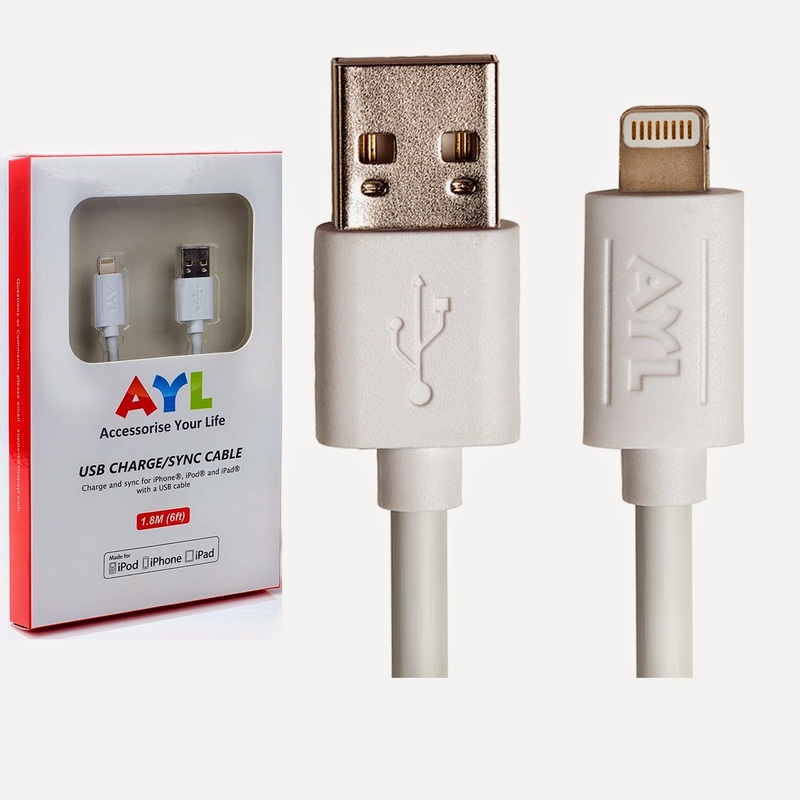 Our friends at Accessorise Your Life (AYL) sent us their USB charge/Sync Cable for the following devices: iPhone 5/5S/5C, iPad 4, iPad Mini, iPod Touch 5, and iPod Nano 7. It also supports Mac and Windows PC. 6 Feet long is Most Convenient and Popular Length – With the 6 Foot cable, it provides you more freedom to select a more comfortable location for you when your Apple device is charging no matter at home, in the car, or in a store. If anyone needs one of these cables, leave a comment for your chance to win! 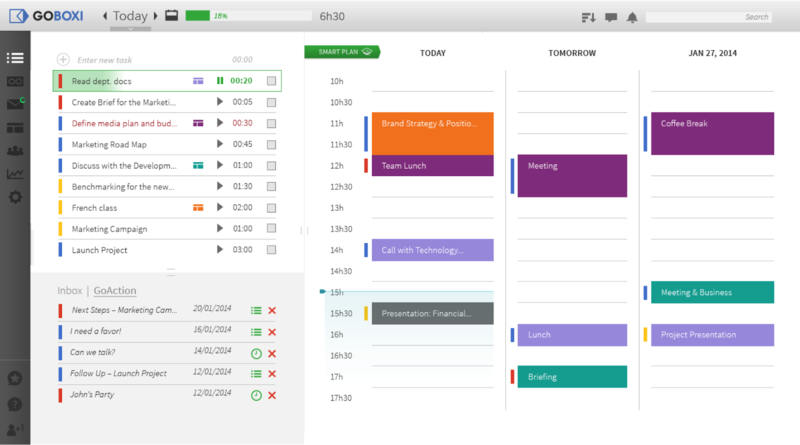 Goboxi is productivity software designed for the future. It solves the problem of multiple inboxes by bringing in project communication from email, calendars, Facebook, LinkedIn and Twitter into one single project view. Goboxi tackles the problem of email organization by using hashtags to organize specific topics and content. This keeps projects organized across many different channels. In addition, Goboxi learns what emails are most important to the user and keeps them at the top. Goboxi’s one-of-a-kind plug-in GoTray creates and tracks tasks by project and individual responsible. Instead of being a slave to your project management software and manually doing all the work (task creation, tracking, assigning, etc), the GoTray feature will automatically create tasks for the appropriate project, whether organized by hashtags, manually or through automated machine learning. The Goboxi Productivity Expert machine learning tool understands and analyzes how each user manages their time and recommends improvements to spend time working more efficiently. Goboxi displays all this information via a Timeline feature that provides one unified view for email, tasks, calendars and social media activity (Facebook, Twitter and LinkedIn). As you have probably figured out by now, these few features make managing and interacting with projects a breeze for teams of all sizes. Goboxi is a result of a partnership between Brazilian entrepreneur Christian Barbosa, CEO of Neotriad S.A. and a time management and productivity specialist, and Performa Investimentos. Barbosa is a serial entrepreneur who has been launching companies since 1995. The partnership was formed to develop ground-breaking solutions in the productivity market that guarantee personal and professional improvement. “Our focus and main goal was developing a solution that could help people have more time with stuff that really matters, and not spending their times with full inboxes, incomplete tasks and projects,” Barbosa said in a recent interview. Although the GOBOXI software we reviewed is still in beta testing, we were very pleased by what it is capable of doing. Since we are web design and tech review company, it is very important that we keep the lines of communication open. Some of contributors are out of state so it is very essential that we are on the same page when it comes to making sure we get projects done on time. We are looking forward to the full release of this software; we will definitely be utilizing it! We thing that we hope to see in the future is an app for BlackBerry, iOs, Android, and Windows Phone. It will ensure that you are productive whether you are on your desktop or away from your desktop (using smartphone)! Check out our hands on review with the product below. We will be sure to update the video once we receive a copy of the full program! If you are photographer or one who loves to take a lot of photos, videos, or even manage pdfs, you will love what DB Gallery can do! We will be running a contest and will be giving away a copy of the software via the developer! DBGallery is software for managing digital photo collections. Ideal for those with a large image collection, DBGallery lets you manage, organize, find and share with ease. 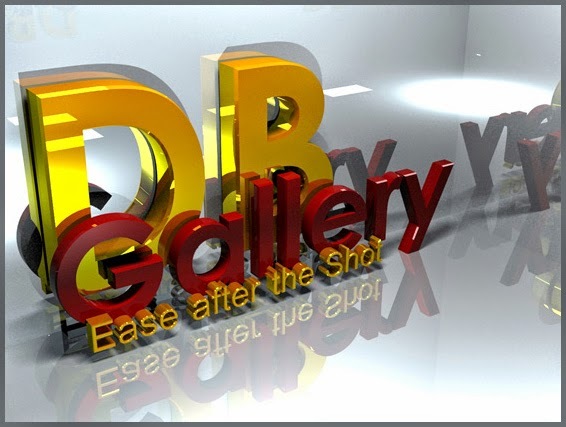 DBGallery image management: the superior solution for extracting the full value out of your image collection.